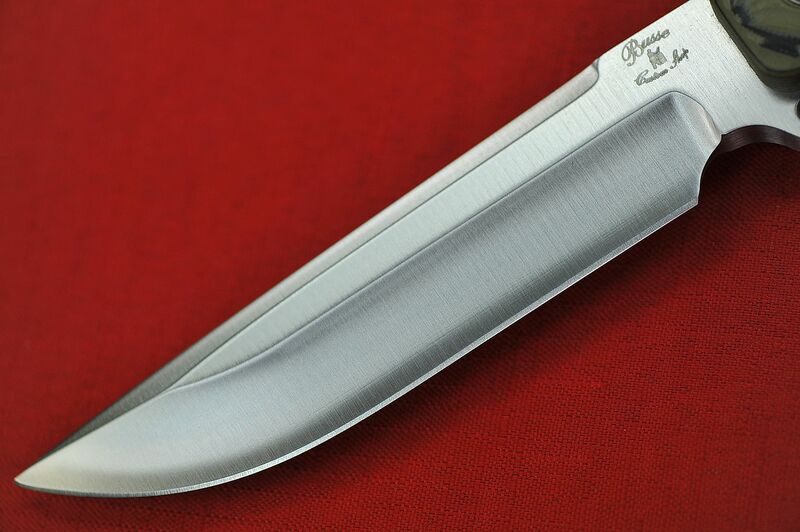 Jerry Busse first introduced the Urban Grudge in March of 2010 in a online Ganza and has been discontinued. 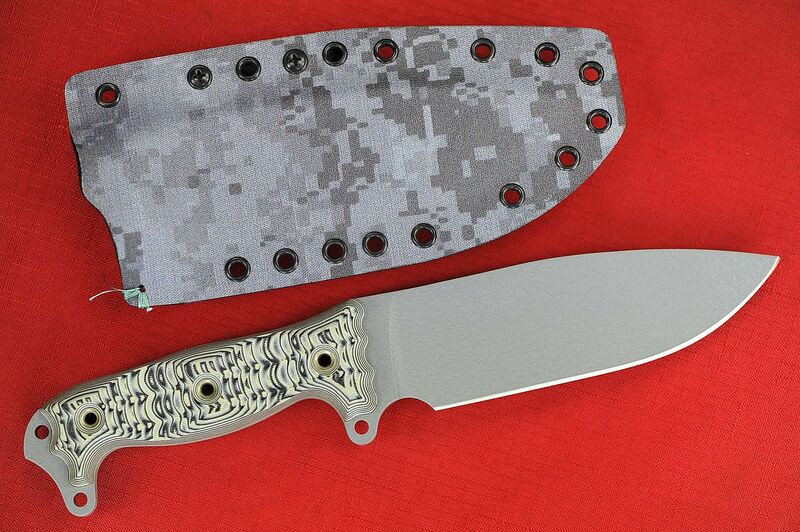 When the Urban Grudge was offered, it was only available with a Doublecut (bead-blasted) Blade finish with Black Canvas Micarta. 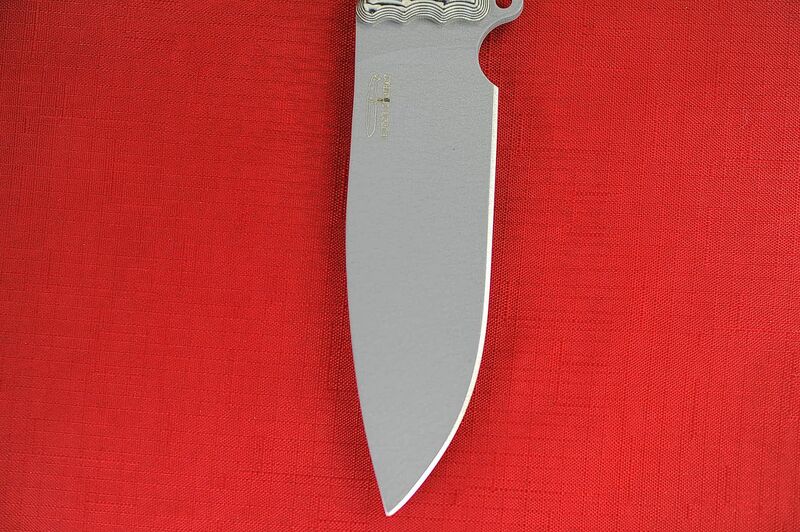 This knife comes from the original HG55 design but they took off CBT (Corrugated Bevel Technology) and shortened and reshaped the handle to make it shorter and fit the handle better. 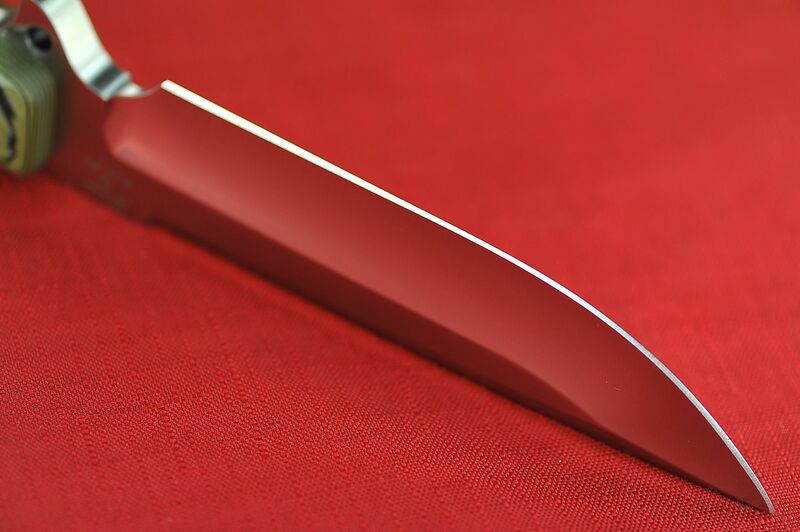 And since the HG55 was a fighter knife, so is this one! 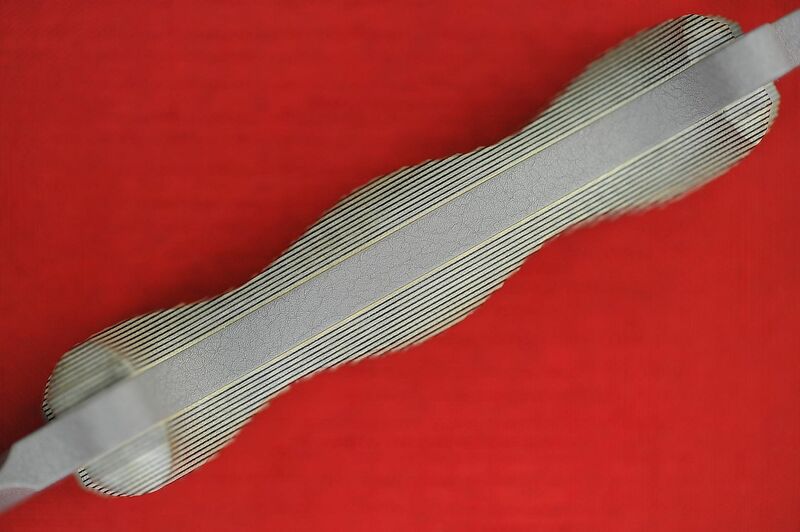 This one is the New version in a Bombproof FAT version. 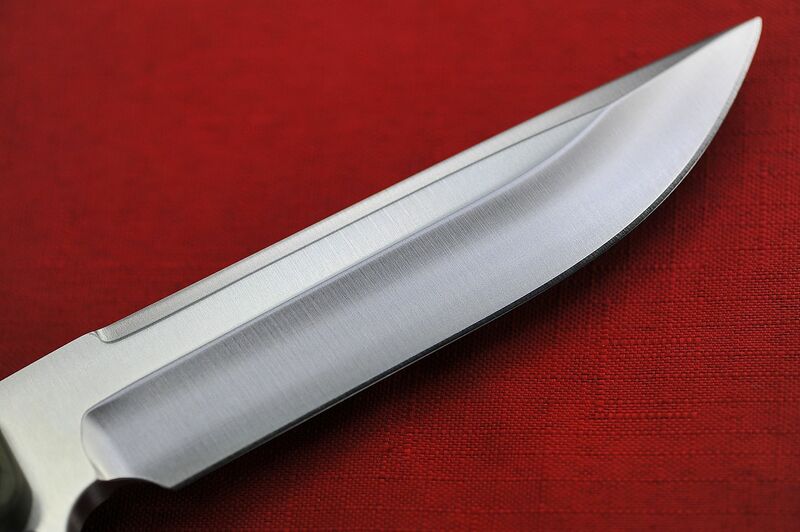 These are all done through the Busse Custom Shop with Deep Hollow Ground blade on a .325" Blank. 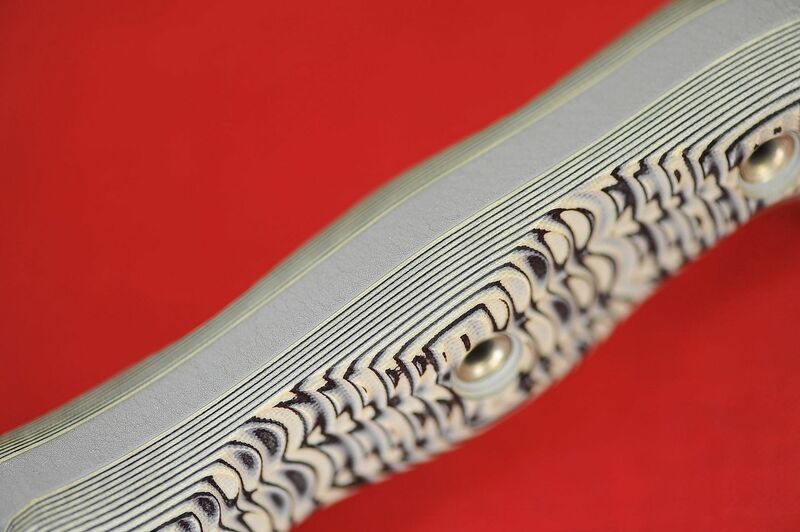 This is finished off with a Swedge, V-Ground Edge and a Hand Finished Satin Blade. The swedge on the top part of this knife is 5" long but is NOT sharpened. 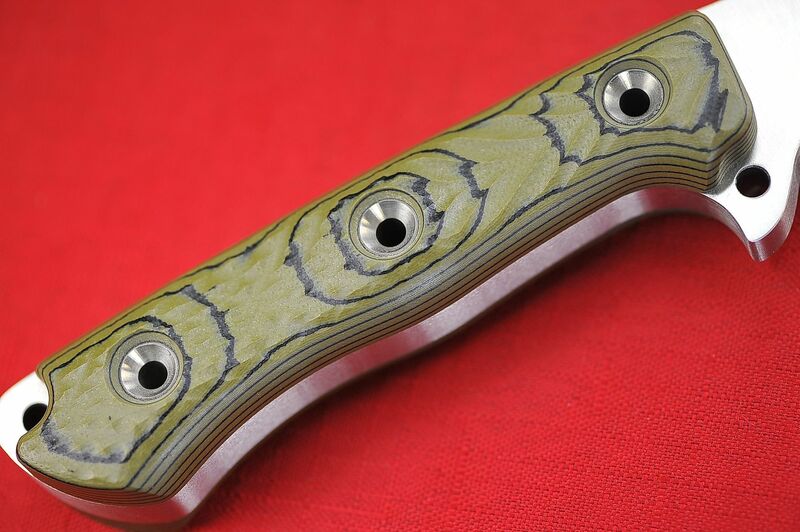 This particular one comes with the Magnum Textured Olive Green/Black G10 Handle. 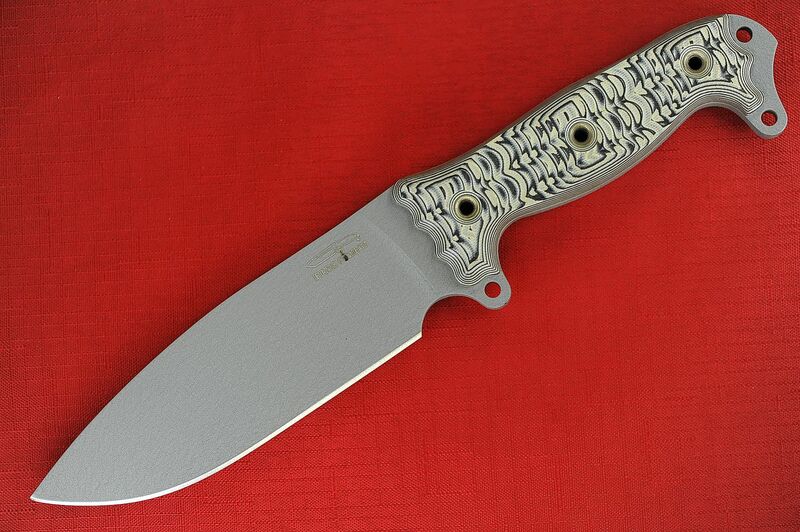 This uses the infamous INFI Blade steel which is a proprietary Steel is used only by Busse Combat knives. This was part of "Operation 2 Weeks!" Get this while you still can. 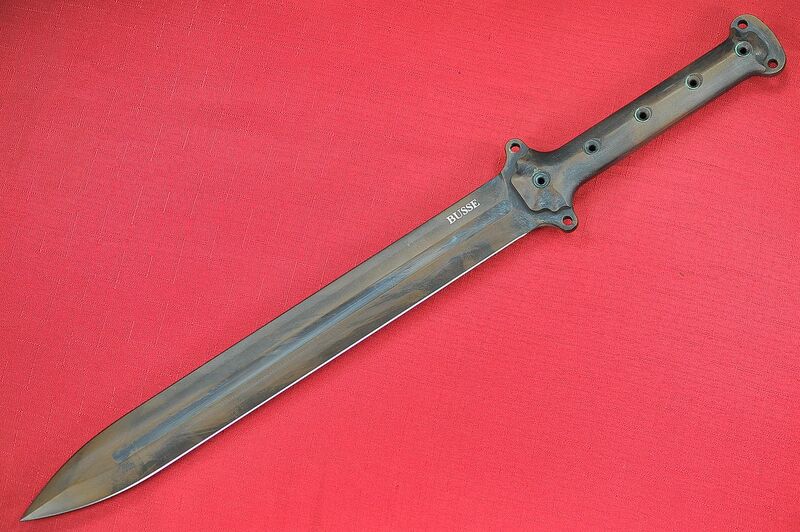 This was purchased directly from Busse Combat by myself. There were not many of these made and was only available for a few days and than discontinued. This is Brand New, never used, carried or sharpened. 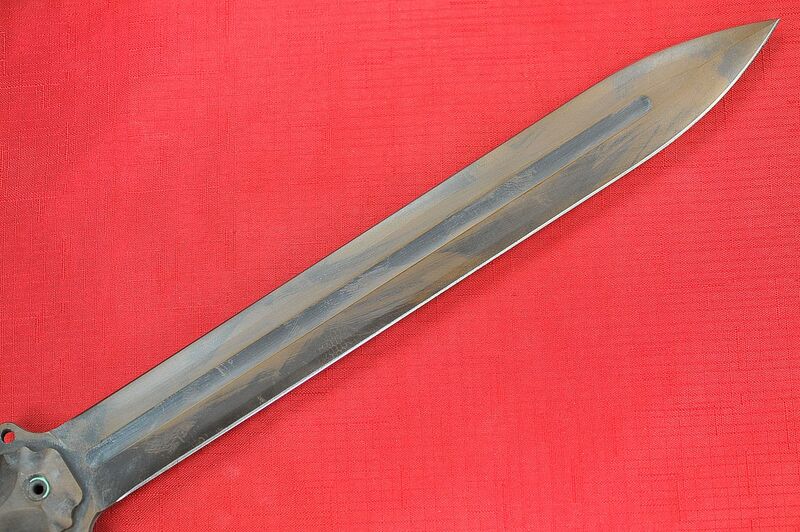 This is a pre-owned knife in New condition from a private collector who kept this as a safe queen. 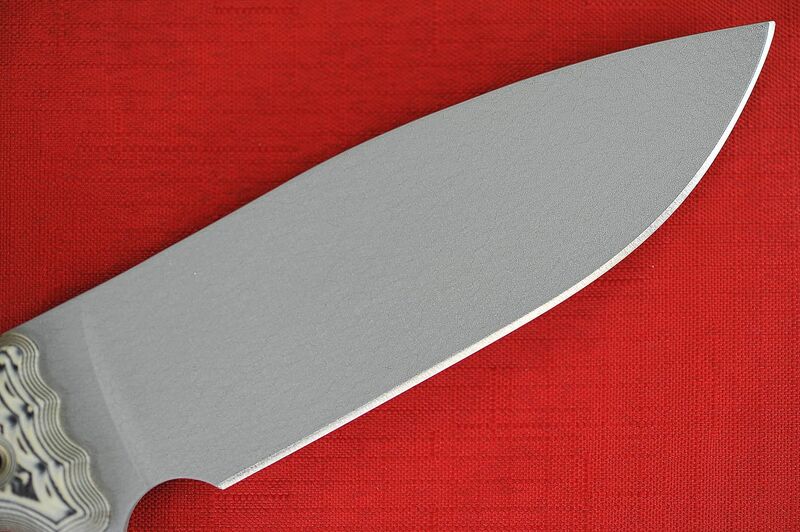 The ASH1 CG has been discontinued and so the demand on this knife has increased. Get this while you can! Jerry Busse introduced the Anniversary Steel Heart 1 in 2007 and this model has long been discontinued and one of everyone's favorite! 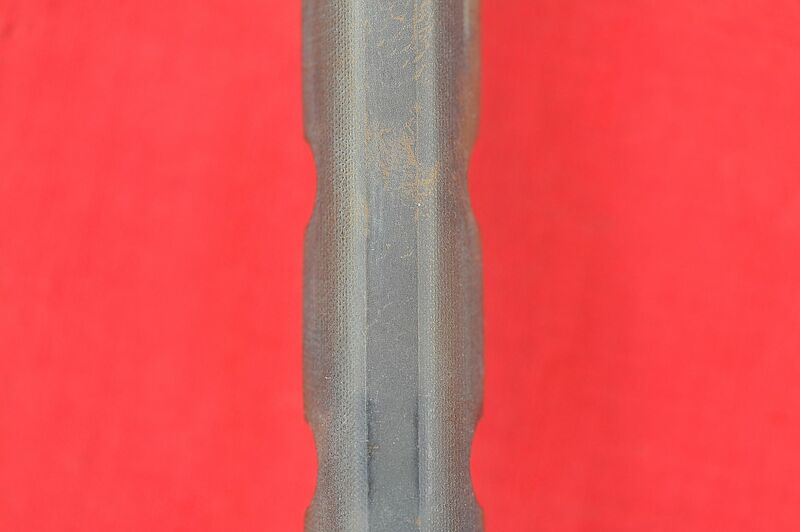 Every true Busse collector should have at least one FAT ASH1 CG in his/her collection. This is a Anniversary Steel Heart 1 with a .325" thick were known at "Combat Grade (CG)" This has a INFI Steel that is .325" Blade thickness! 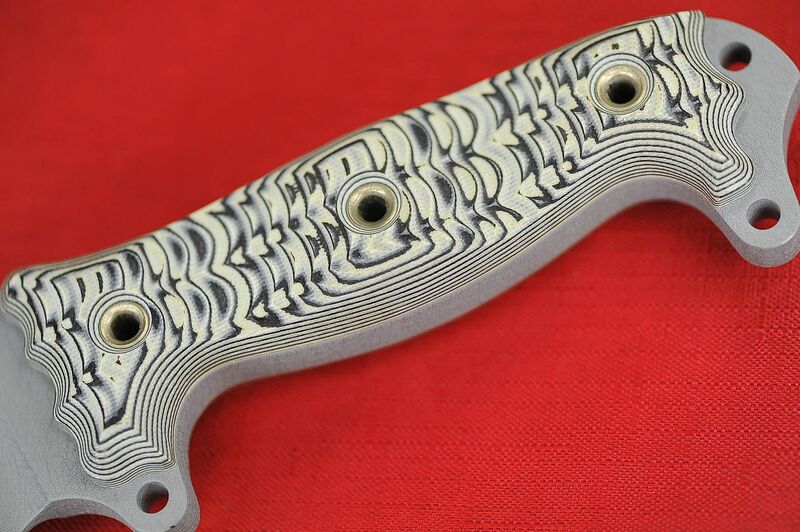 INFI is a proprietary Steel is used only by Busse Combat knives. 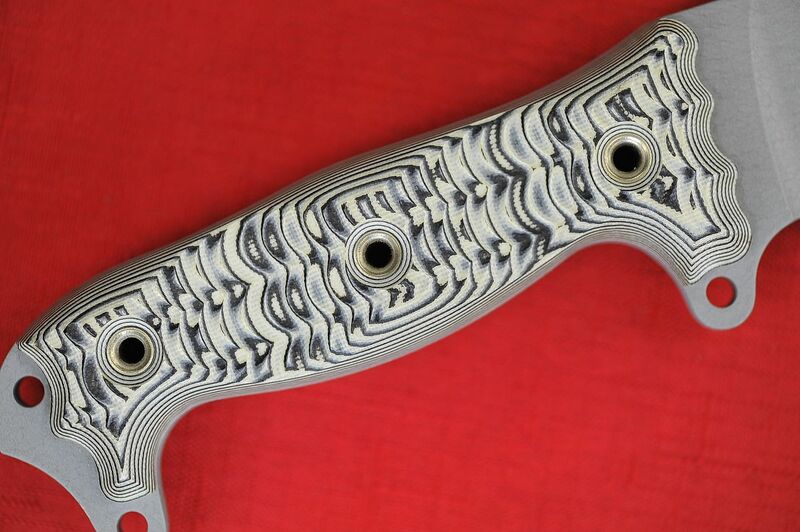 This knife will carry a lifetime warranty from Busse Combat! 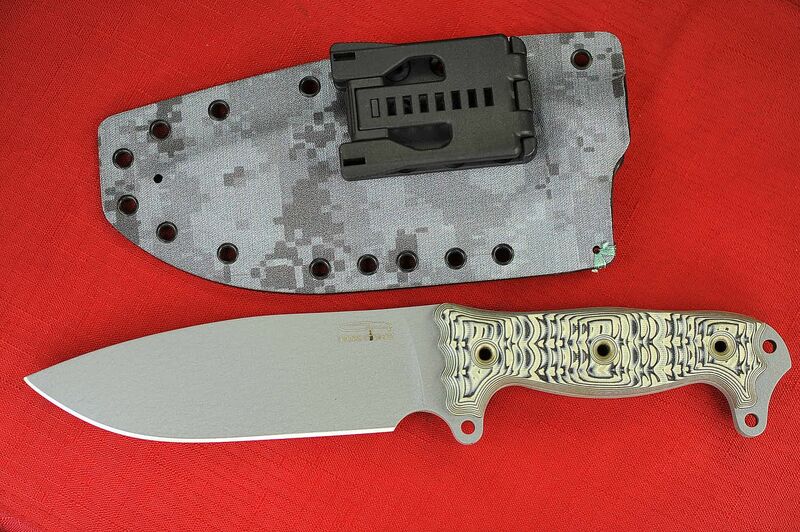 This one is Pre-owned and was sent out to have a custom Grey Digital Camo Pancake Kydex Sheath with TeK-Loc. 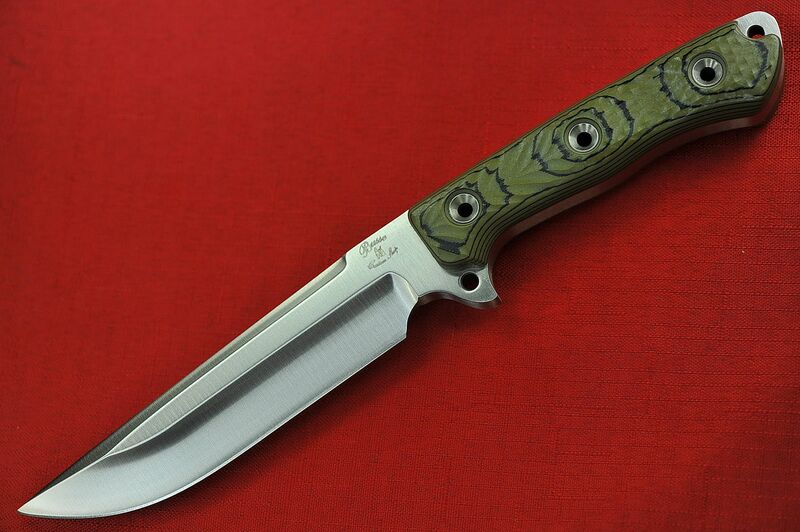 This is a beautiful knife because the Blade color matches so well with the Black/Tan G10 handle. Because this is pre-owned and sheathed, this is being listed as "Used" and being Sold "As Is"! You can see by the pictures it's not going to get any better than this on this deal. 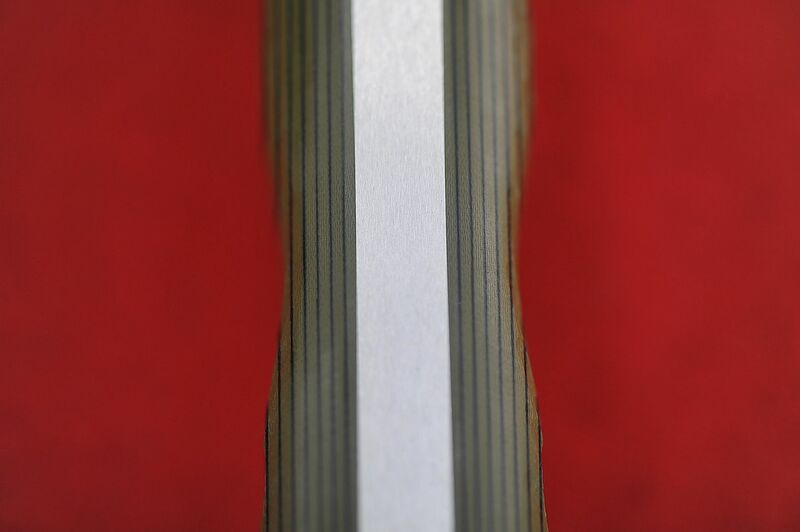 Factory Edge and I show no smoothing on the coated finish. 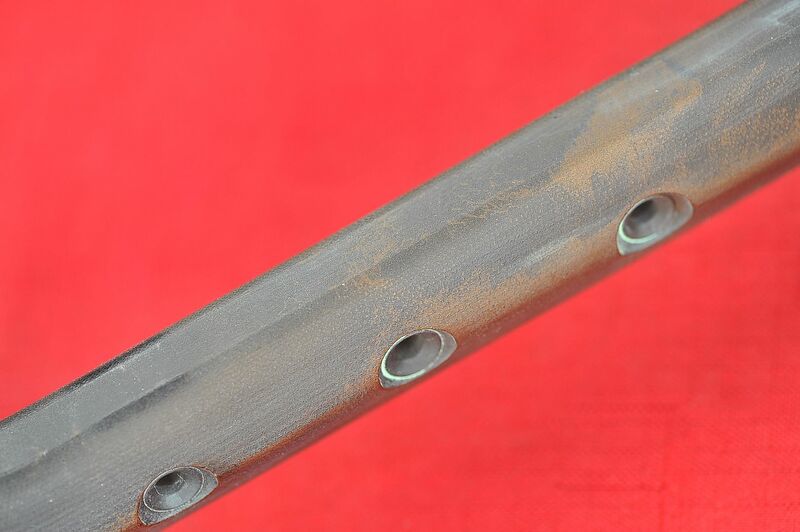 But because it was sheathed, I am listing this as used and being sold as is. 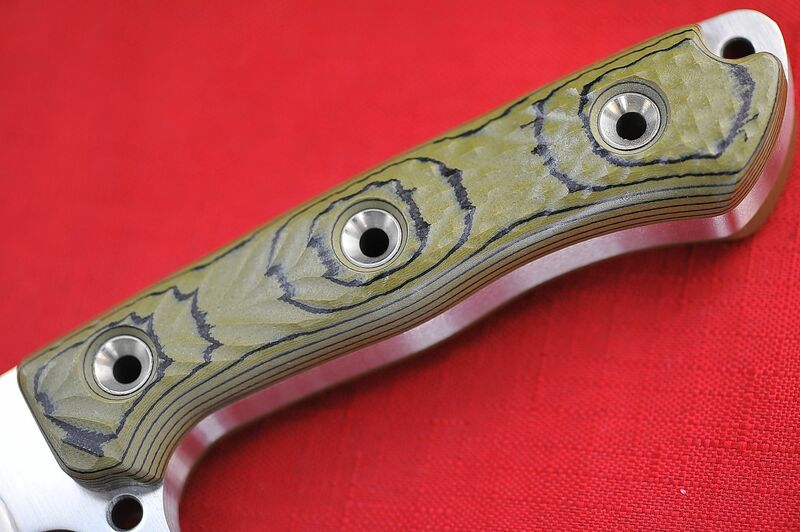 Textured Handle which can be either Canvas Micarta or G10 but is unknown because it's also protected and coated with the Cerakote Coating. 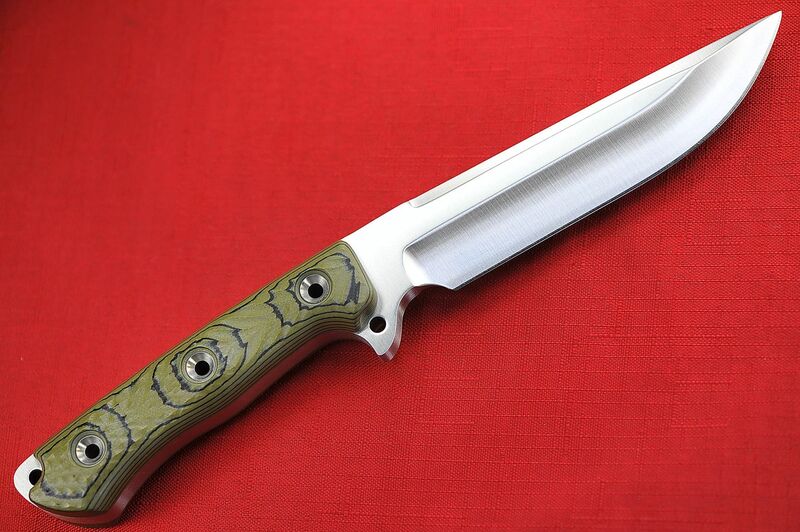 This is from the 2015 Blade Show in Atlanta Ga an Exclusive for ONLY this ONE show! 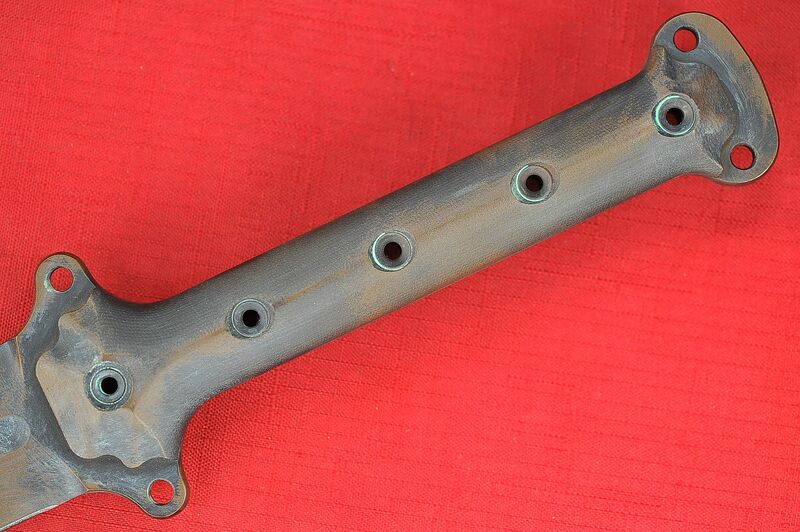 There were only 5 made with this Aged Bronze Cerakote coating so this one is super rare and will never be done again! 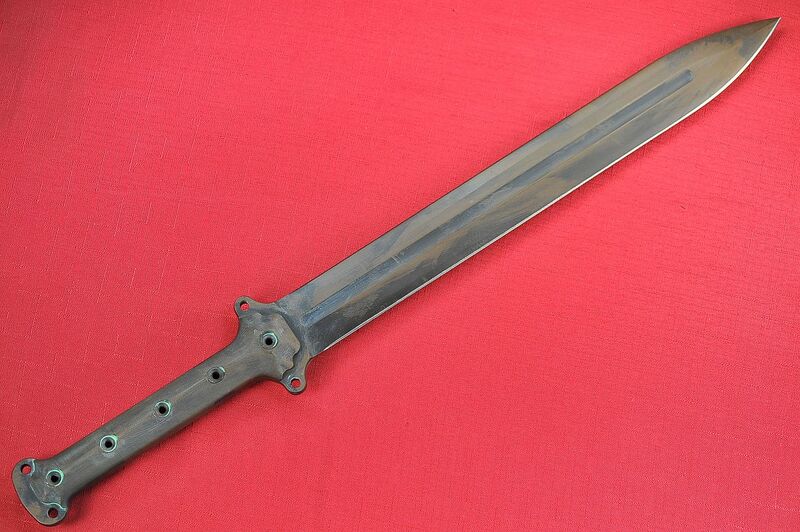 The Gladius is no longer available for sale through the Busse Combat because it's Sold Out, and has been Discontinued! 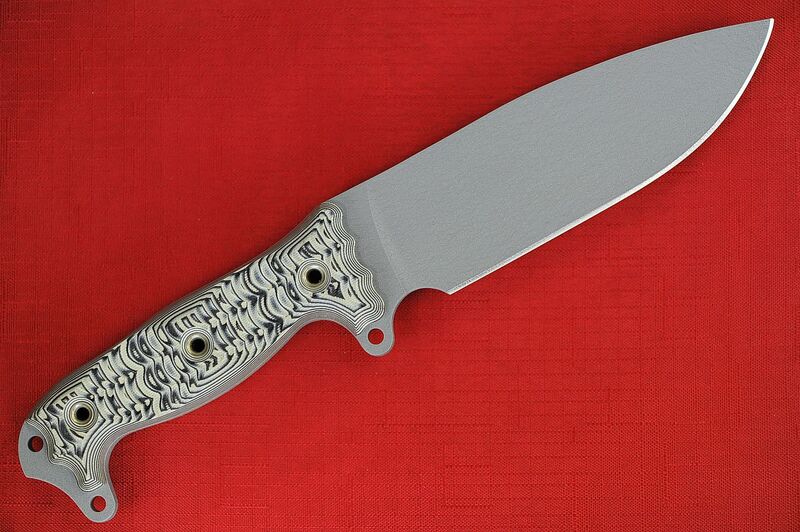 This was a very Small Limited Production Run Busse by the Combat Custom Shop! 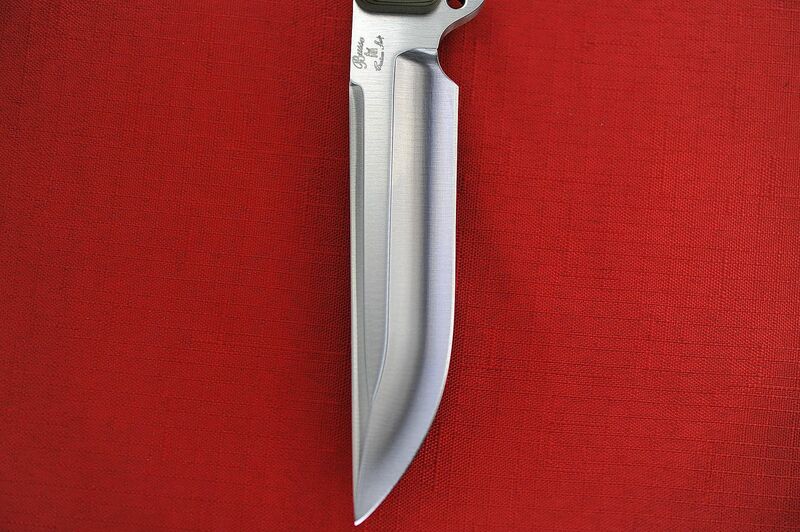 The Gladius short sword was introduced by Jerry Busse in the summer of 2010 and has long since been discontinued! 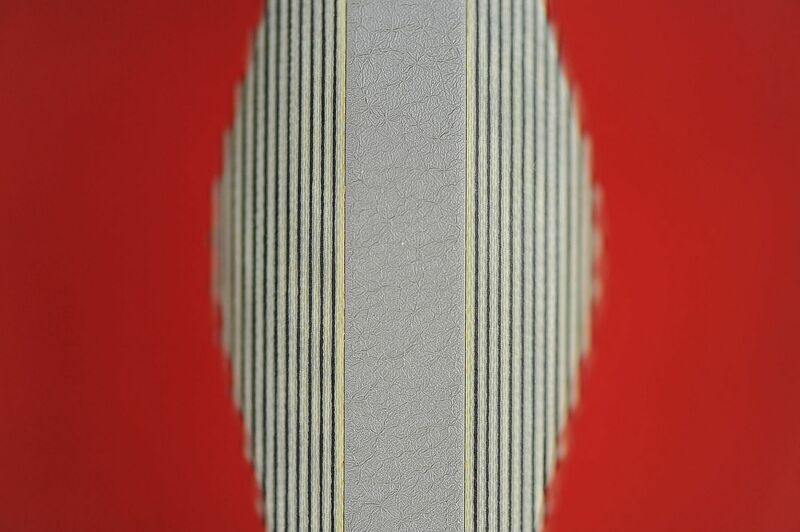 This has a Convexed Blade Double Convexed with a Double Edged V-grind is Razor Sharp! 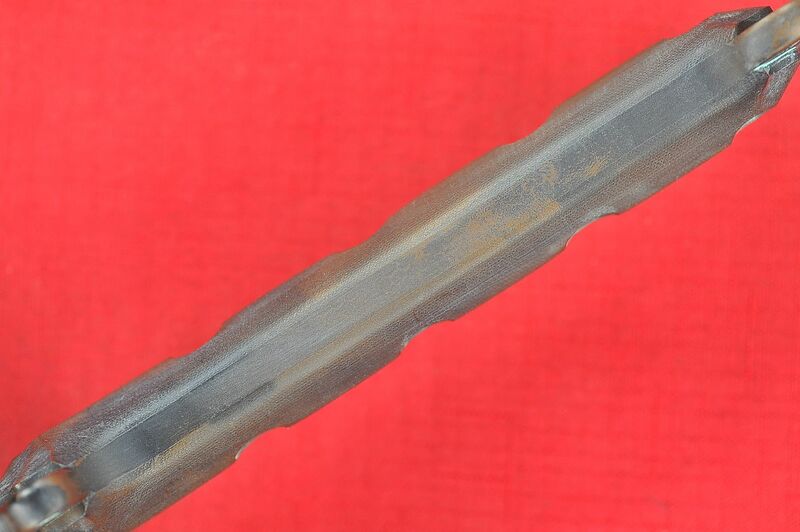 This sword has a with a Fuller or otherwise known as Blood Groove down the middle of the blade. 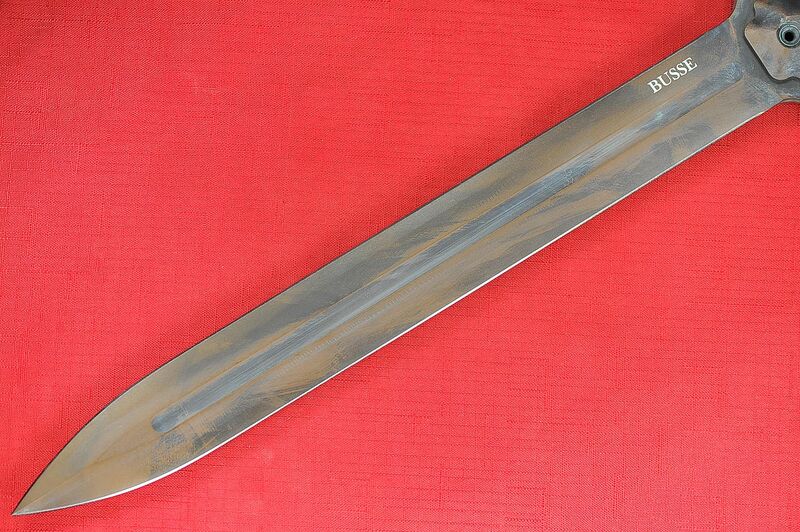 This is one of the rare knives/swords that Busse decided to make only Five of and have them Aged Bronze Cerakoted for this ONE Show! 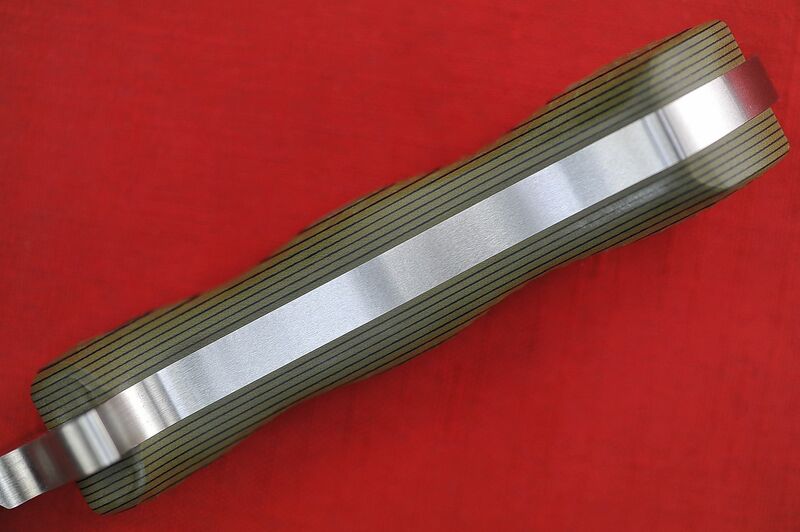 The actual handle material is unknown can be either canvas micarta or G10, and because it is coated, is not known but will still have the lifetime guarantee. 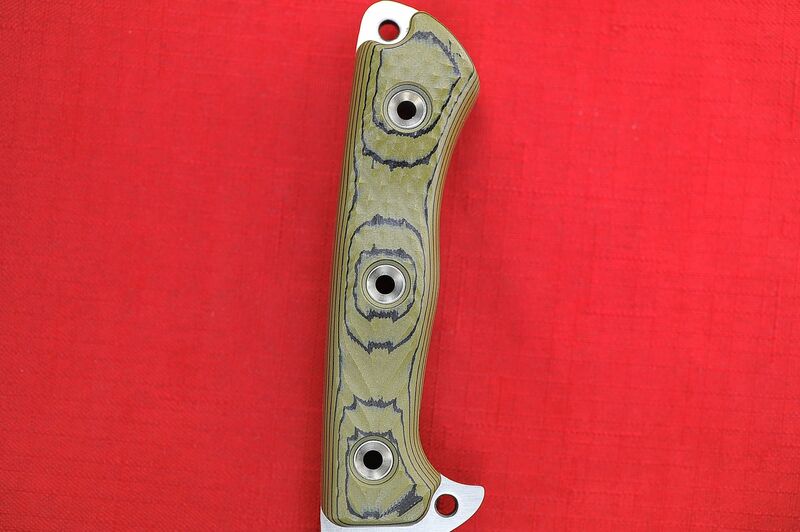 Cerakote is a High Performance coating that not only protects the blade but the coating is very tough and hard to wear out. 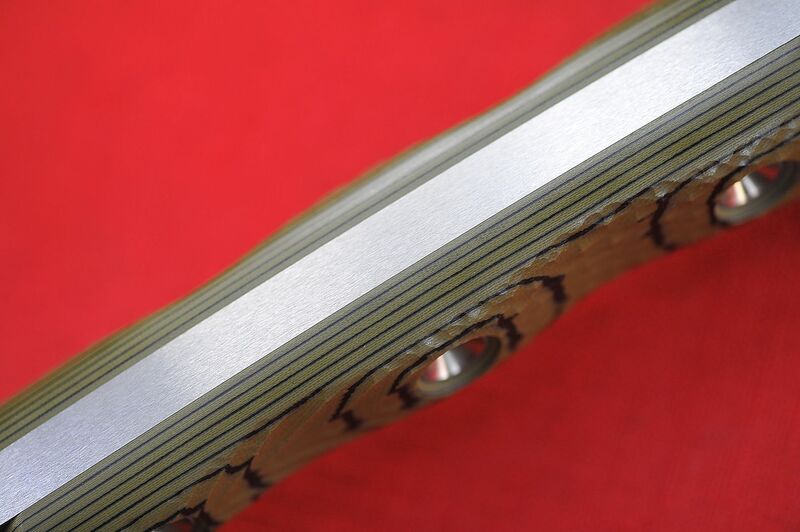 This is a Brand New knife but the coating is made to look like it is aged with patina. 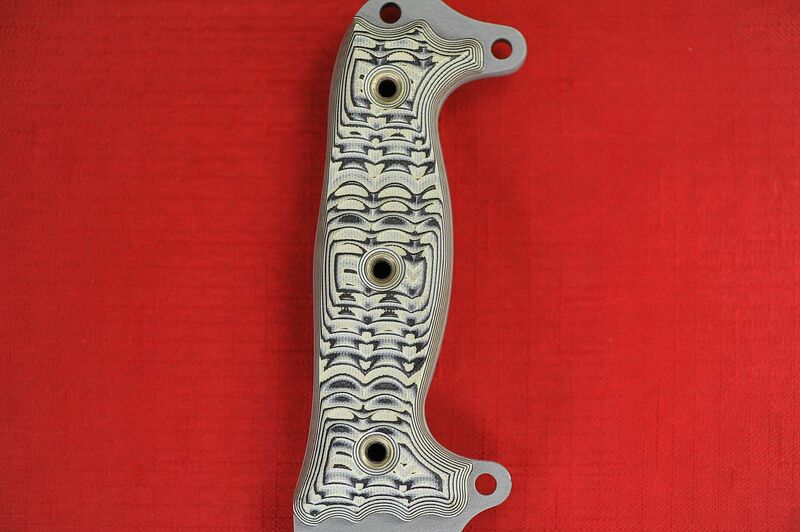 There have been very intense testing and this coated was mainly used on guns because of the tough durability. 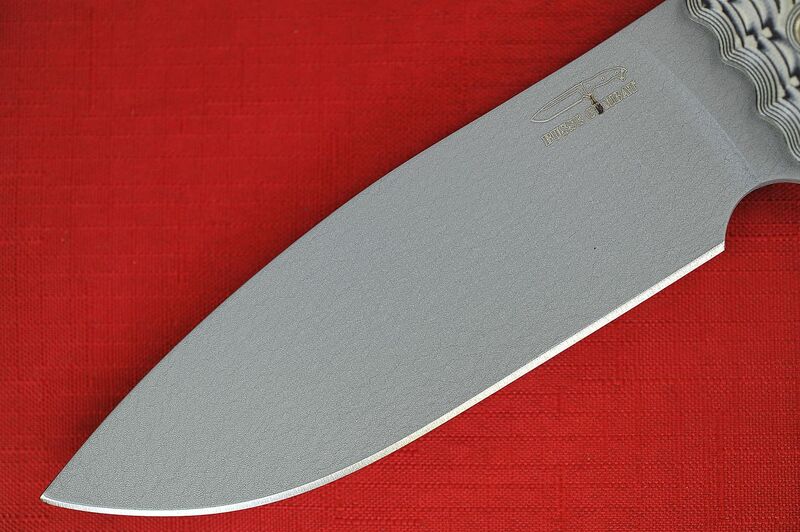 This is the very first time Busse has offered this coating on their knives! 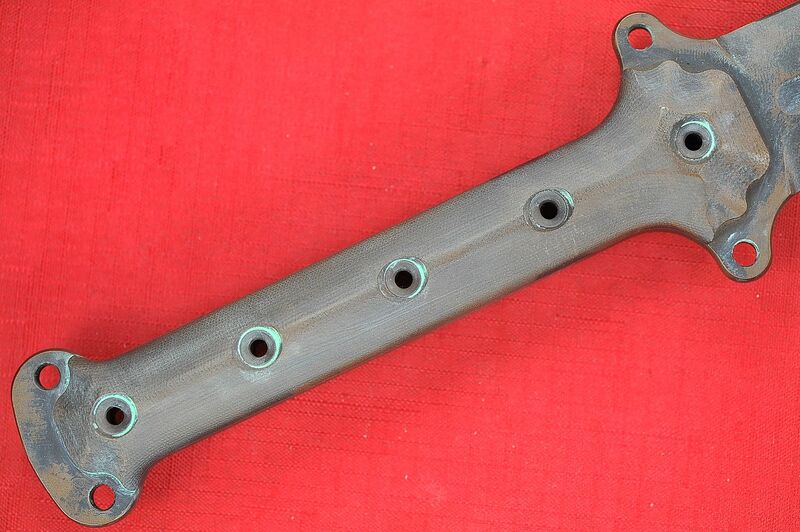 This is supposed to looked old, aged and with faux corrosion and patina accents. This one is new and a RARE Super Find Because this color combination were only 5 were ever made! This is Brand New, never used, carried or sharpened.